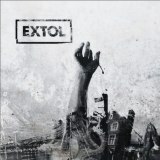 Something for a comeback for this Norwegian band (now a trio) having been deactivated since 2005's The Blueprint Dives, Extol is a welcome reaffirmation of skill. Although still less vicious and galloping than their early albums, here the focus is more on the progressive side of things, and how this fits into the strong songs that the band have written. Driven primarily by Ole Børud's riffs, and with a marked harsh/clean differences in vocals, the music verges between blasts of technical thrashing and melodic interludes, not least with the choruses. The band are probably best known for their Christianity, which certainly seems to be the focus of the lyrics here. It's to their credit that they make lines like 'take me to the gates of righteousness' effective, the emotional input apparent to even an unbeliever like me. Hard to ignore, perhaps, but certainly far from detrimental to my enjoyment of the music, which was considerable. Opener Betrayal immediately shows the band at their best, leading with technical guitar-drum interplay and reminding me of recent Carcass up until the acoustic-backed clean chorus. Open the Gates takes a different route, opening with groovy riffs and a nice mini solo before launching into a furious melodic death surge, ending with a lovely riff-y flourish. The band are clearly experienced musicians, capable of showing off without detracting from the songs, which are kept varied but fit well together. Wastelands, for example, has a Dream Theater-gone-melodeath feel to it, moving from chugging riffs to melodic soloing easily and smoothly, while the following A Gift Beyond Human Reach building up from a clever drumbeat into a perfect groove, the buoyancy of the music matched by the reverential lyrics. Faltering Moves takes a step into melodic doom, while Behold the Sun speeds things back up to near tech-death standards, complex thrashing riffs behind some of the most angelically clean singing on the album. What most impresses about this album is how complete and unified it is, utterly professional, every note considered and polished for full effect. Even Dawn of Redemption's languorous instrumental interlude is calming and well-placed, a moment of rest for the weary pilgrim before travelling onwards through the crunching battery of Ministers, like the tech-thrash of those other Christian metallers Believer pushed through a melodic filter, leading to the blastbeat-fuelled euphoria of the title track. Finale Unveiling the Obscure brings things to a fitting close, the vocals becoming darker and more black metal, the pace quickening, and the melodic pay-off worth waiting for. An excellent album that shows Extol have much to say, and much worth listening to.